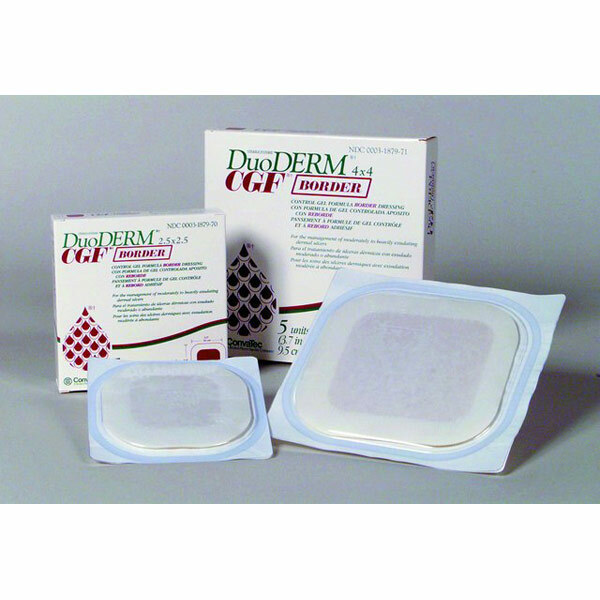 DuoDERM CGF Control Gel Formula Triangle Dressing DuoDERM CGF products interact with wound exudate and enable removal with little or no damage. Help protect against contamination. Sterile. Box of 5 4" x 5" Dressings.